Age Defying Cleansing Milk is specially designed to gently cleanse your skin while beginning to fight signs of ageing.- Helps reduce the appearance of fine lines- Improves surface skin dullness- Helps to noticeably smooth skin texture- Helps to maintain skin's suppleness- Aids to stimulate skin's natural renewal process to reveal younger looking skin- Removes make-up and other impurities from the skin- Hydrates and softens skinTotal Effects Age-Defying Cleansing Milk is specially formulated with Vitaniacin, Olay's critical anti-ageing ingredient. For maximum benefit, follow with Total Effects Toner and Moisturiser. Use moring & evening. Massage gently across face & neck. Remove either with dry or damp cotton wool. Follow with Age Defying Toner & Olay Anti-Ageing Moisturiser. Aqua, Isohexadecane, Glycerin, Sucrose Polycottonseedate, Cyclopentasiloxane, Niacinamide, Diisopropyl Sebacate, Tocopheryl Acetate, Panthenol, Dimethiconal, PEG-12 Dimethicone, PEG/PPG-18/18 Dimethicone, Cetyl Alcohol, Stearyl Alcohol, Steareth-21, Steareth-2, Decyl Glucoside, Palmitic Acid, Stearic Acid, Myristic Acid, Lauric Acid, Carbomer, Acrylates / C10-30 Alkyl Acrylate Crosspolymer, Sodium Hydroxide, Parfum, Disodium EDTA, Phenoxyethanol, Methylparaben, Propylparaben, BHA, Benzyl Salycilate, Butylphenyl Methylpropional, Hydroxyisohexyl, Hydroxyisohexyl 3-Cyclohexene Carboxaldehyde, Alpha-Isomethyl Ionone, CI 19140, CI4700. 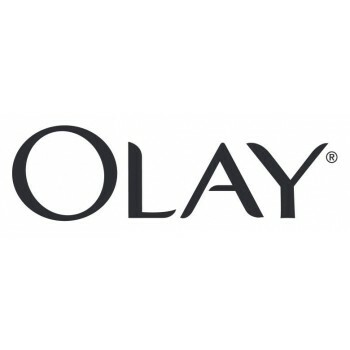 Olay products are so good, the cleansing milk has a nice texture and is so mild and gentle to cleanse with and does a great job removing all my make up. I love the way it leaves my skin feeling so clean fresh and soft not forgetting that mild delicate smell it has. I love olay products,i love love love the scent,reminds me of my grandma. This cleanser is just the right consistancy without being too runny.